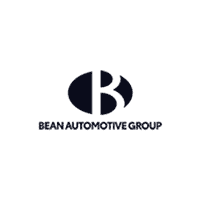 The leader of the Bean Automotive Group ensures that all executives adhere to the company’s guiding principles and remain focused on the vision to serve our customers, associates and communities. Following in her father’s footsteps, she continues a legacy of high volume sales while maintaining the highest levels of customer service. Through her steadfast commitment to employee training and education she ensures that we meet every customer’s expectation, one customer at a time. Lori believes every employee in the Bean Automotive Group can make a positive impact. Her passion spreads through the entire organization in its commitment to the community through both charitable and volunteer efforts. Local partners include: Live Like Bella™ Childhood Cancer Foundation, Habitat for Humanity, All Charities Ocean Reef Foundation, Perez Art Museum Miami PAMM, Relay for Life American Cancer Society and many other organizations. Strategic leader managing executive personnel and developing policies and programs to drive long-term growth across all company divisions. Over the past 25 years, he led the dealerships to numerous manufacturer accolades and held various board positions. Financial Officer with over 15 years of large dealer group experience. Directs business plans and develops financial strategies, overseeing all finances, budgets and capital requests. His dealership background offers Bean Automotive a broad understanding of day-to-day operations, and provides a foundation for financial measurement and success. George has volunteered his time in serving Humanity and Live Like Bella and continues to seek community partners where all associates can give back their time, talents or treasures. Develops company-wide purchasing strategy with over 20 years of procurement and supply-chain management experience. Florida CPA specialized in automotive dealership groups with over 13 years of automotive accounting and financial planning leadership. Enterprise technologist with over 15 years of experience in network and server infrastructure and security. A dealer process consultant with over 25 years experience working with hundreds of successful automotive dealerships nationwide. A steward of the Bean Automotive Group corporate culture with over 19 years of leadership experience. An advertising veteran and leader in digital marketing innovation with 20 years of experience in the South Florida community.